What are refractive errors in children? Refractive, or optical, errors – myopia, hyperopia and astigmatism – cause blurred vision due to an inability to focus images on the retina. If not corrected, their consequences can be particularly harmful for children, since vision is developed in the first years of life. Any cause of poor vision in one or both eyes during childhood, as is the case with refractive errors, can lead to the condition known as "lazy eye". When the child has hyperopia, astigmatism or myopia, the image that reaches the brain is not sharp. Video in Spanish / When the brain does not receive adequate visual stimuli from the affected eye, it selects the vision from the eye with less refractive error and suppresses or ceases to use the other. 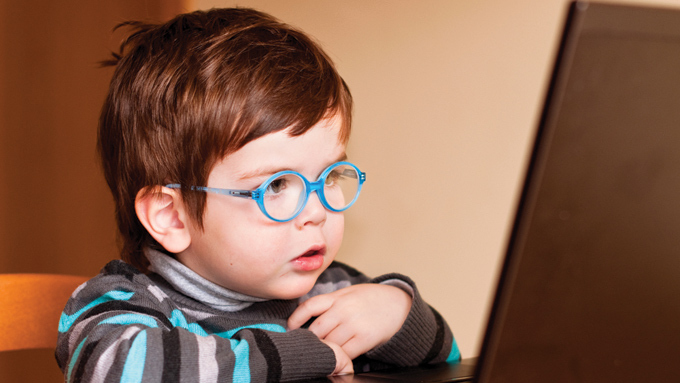 Myopia can increase as the child develops. If the axial length of the eye increases, so does the degree of myopia. In contrast, hyperopia does not increase as the child develops, but can decrease if the eyeball lengthens. Refractive errors cannot be prevented, but it is important to detect them early (at home, school or at the paediatrician’s). The problem will then need to be diagnosed by means of an eye examination performed by an ophthalmologist or optometrist. The child’s vision is examined with the aid of dilating eye drops, which prevent the eye from focusing and compensating for the optical error, thus enabling the eye’s optical power to be measured in dioptres. 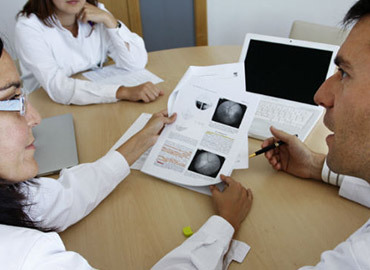 The problem can also be detected after a school or paediatric check-up. Refractive errors are corrected by adding or subtracting focusing power. This can be achieved with corrective lenses in glasses, contact lenses or refractive surgery. The choice of method depends on the child’s age, type of error and patient needs. The options should be assessed in conjunction with the parents. Glasses are usually the preferred option. At what age should a child have his or her first eye examination? Can undetected eye problems impede a child’s progress at school? What happens when the patient is under the age of five? What must be done when a child needs an eye test? When is an ocular occlusion used?